Q. I can't get the game to work! Help? A. Make sure you are on a computer, as our games currently do not work on mobile or other devices! Also, make sure you have Adobe Flash Player Installed. If you don't, you download it here. Q. Is that all the games you've got? A. 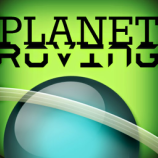 Planet Roving's games are being developed by one person, John, who is currently in school, which leaves no free time. But don't worry, Planet Roving has a lot of surprises for everybody, including a major project that has been WIP since January 2015! Q. How will I be able to support Planet Roving? A. You can donate to us using Bitcoins or via PayPal. All information is displayed on the Sponsors section, so you can donate from there. Q. How will I be able to become a member of Planet Roving? A. Just go to the Contact Us section, and fill in the form stating that you would like to be member to Planet Roving. We'll then follow up! Q. I need help, and nothing on this page was useful! A. Just go to the Contact Us section, and fill in the contact form requesting help! Q. When was the last time this help page was updated?